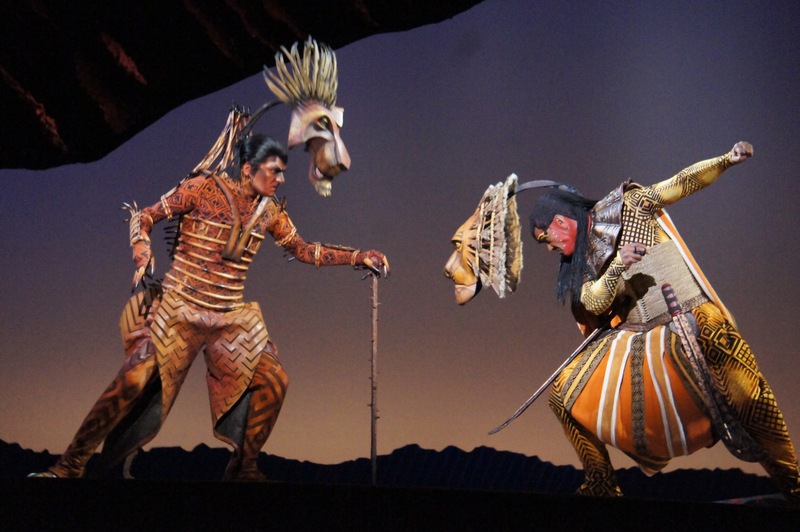 A pristine exemplar of Broadway creativity at its zenith, The Lion King illustrates with sterling clarity why it is the world’s highest grossing musical. The aisles of the Regent (which were created by removing seats for the first season of The Lion King) are once again graced by all manner of beast and bird as this epic pageant makes its very welcome return. 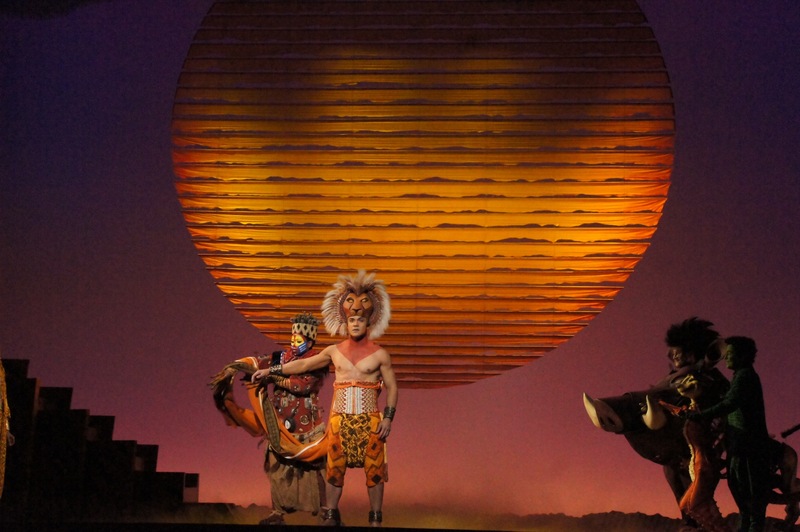 One of the very few musicals that can fill the cavernous Regent auditorium on an impactful scale, The Lion King remains an immersive and affecting visual and aural feast. Birds flutter overhead, rhinoceros and elephant parade by, and crisp, rhythmic percussion pours forth from the Juliet boxes. Visionary director Julie Taymor’s unmatched ingenuity and inventiveness provide a cavalcade of gorgeous stage pictures, both mighty and intimate in scope. 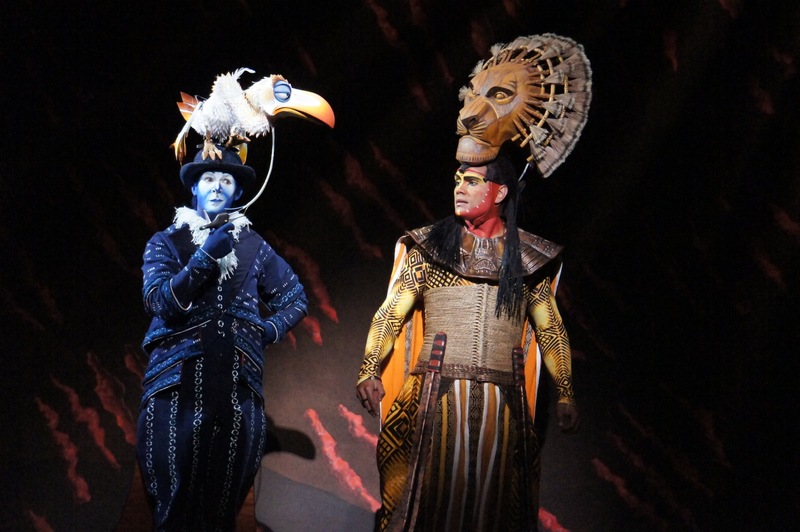 While Taymor’s costumes are a riot of lush colour, it is her puppets and masks (co-designed by Michael Curry) that really set the production apart. No photo can do justice to the brilliant movement and expression of these aspects of the design. While there are flashy effects and eye-popping moments, such as the deadly wildebeest stampede, the true mark of quality comes in the musical’s generous patience with quiet, heartfelt moments. There is time for ritual, time for tradition, time for affection, time for grieving. The central theme of allocation and preservation of natural resources remains a prescient one, with the elements of family and community pride give a shining example in this age of long hours and high fences. Elton John and Tim Rice’s movie hits provide toe-tapping pleasure, but it is the added music, particularly from Lebo M and Hans Zimmer, that provides ethereal beauty. Having visited Sydney and Brisbane, this return tour arrives in Melbourne in top condition. The adult leads are particularly strong, their characterisation and timing sharply honed over months of performances. Rob Collins, as the noble Mufasa, demonstrates how to be strong father and powerful man while still maintaining a gentle and sensitive side. Josh Quong Tart drips resentful venom as Scar, deftly projecting the bubbling wrath of a brother who feels unjustly wronged where a lesser actor would be tempted to resort to camp villainy. Cameron Goodall achieves a dazzling range of expression as bristling do-gooder Zazu; it is a shame that Zazu’s act one charm song “The Morning Report” has been cut. 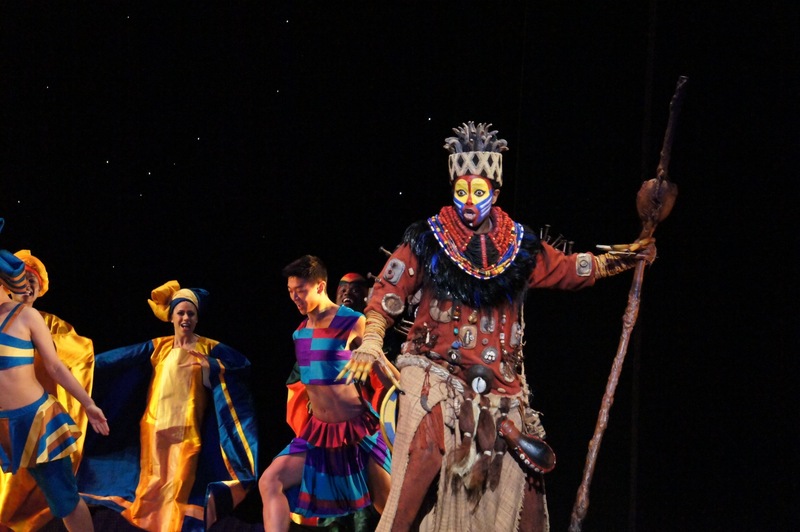 Buyi Zama returns as effervescent spiritualist Rafiki, a role she has played around the world. Zama’s dialect and body language are a delight, and the joy she experiences from being on stage is infectious. Nick Afoa is well cast as Simba, his impressive, manly physique offset nicely by his doe-eyed countenance. Afoa finds an impish, restless energy in the young adult Simba, before settling into confident maturity as Simba reclaims his rightful place. Afoa’s attractive, breathy singing voice could see him cross over as a pop vocalist in a heartbeat. Afoa has a sweet stage partner in the elegant Josslynn Hlenti, a physical actress with a lovely singing voice. Energy lifts with the arrival of crowd favourites Pumba (Russell Dykstra) and Timon (Jamie McGregor). McGregor has perfected his vocal inflection and comic timing, scoring plenty of laughs as madcap meerkat Timon. Dykstra throws himself into the daggy dorkiness of stinky, well-meaning Pumba. As the rabid hyenas, Ruvarashe Ngwenya, Terry Yeboah and André Jewson have shown significant improvement in communicating all their dialogue and vocals while leaping about manipulating complex puppets. This is no mean feat. 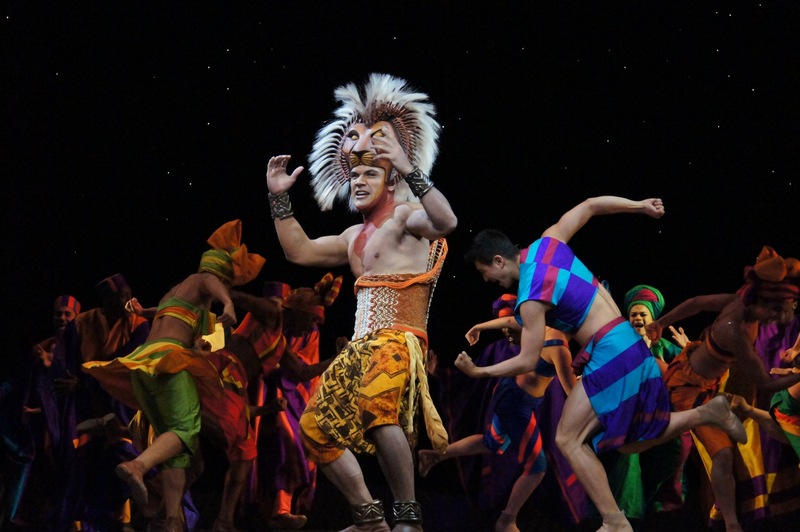 Adam de Leon had terrific energy and verve as Young Simba on opening night. Likewise, Annette Tran is a spunky, plucky Young Nala. 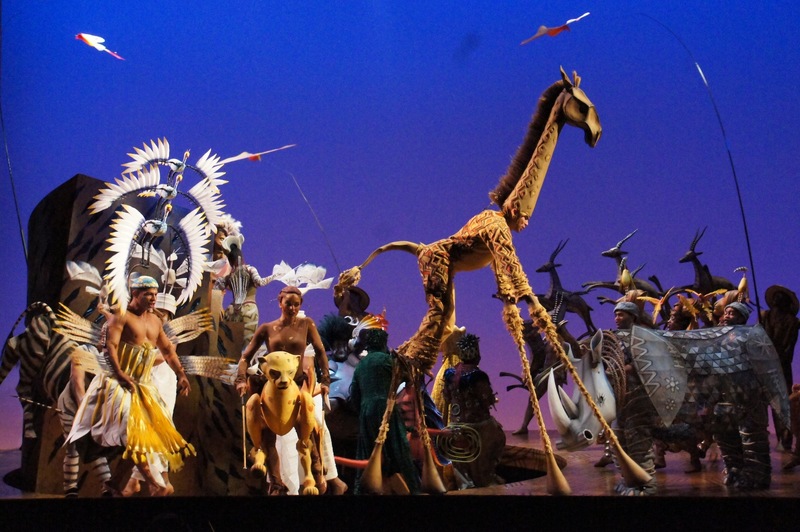 A musical that more than lives up to its hype and legend, The Lion King is a glorious treat for young and old. 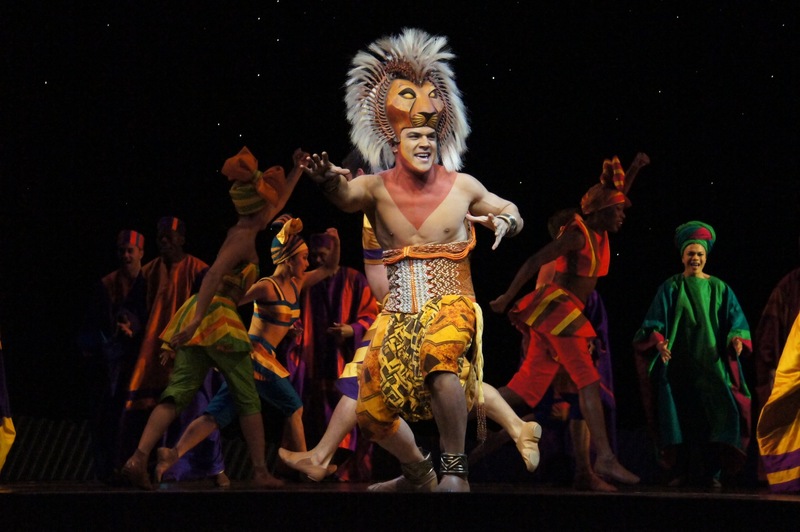 The Lion King plays at Regent Theatre, Melbourne until 1 November 2015. It then plays in Perth from 18 November 2015. Man in Chair also reviewed The Lion King Sydney. Thanks Simon, good to read. Hi Seti, you should be very proud of your son Nick. He has really grown in the role over the last year, and his singing is sounding terrific. Have you had a chance to come to Australia to see the show yet? Hi Simon, yes I saw it four times in Sydney and once in Brisbane. I will see it again soon in Melbourne. I was interested in how you thought Nick had grown into the role since your last review. Thank you for your thoughts.